The final day of the famous Investec Derby Festival is the hugely popular Derby Day sees around 100,000 racegoers, dressed in their best, flock to the Epsom Downs Racecourse to enjoy a spectacular day of racing as well as a fine addition to their social calendar. The main race on Derby Day is the Investec Epsom Derby itself, which is one of the highlights of the flat racing season. Guests in 2018 witnessed Masar race to victory in The Investec Derby. 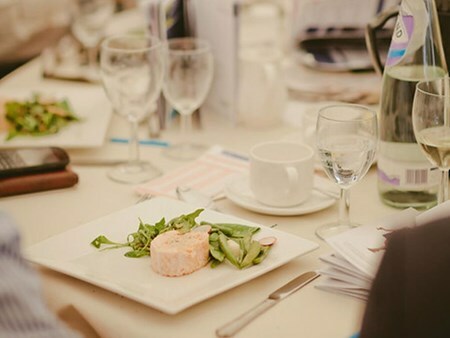 Hospitality Finder proudly provides official Epsom Racecourse hospitality packages on Derby Day, where guests can experience final furlong hospitality with sweeping views of the racecourse from the trackside balcony - the ideal vantage point to cheer on your horses in the exciting closing stages of each race. Please note that dates are provisional and subject to change. 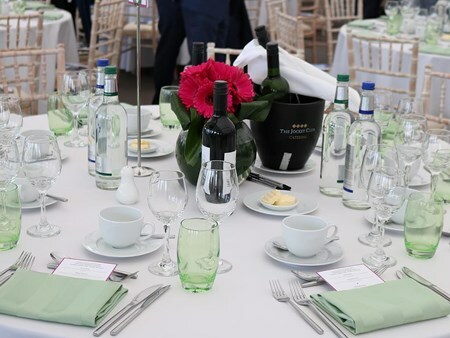 This stunning marquee is positioned trackside on the final furlong giving guests a fantastic view of the pivotal point on the course and where the race is won or lost. Enjoy superb hospitality and experience the action at close quarters, as the horses thunder down the hill and into the finishing straight. Dress code information can be found here. Can't find your favourite Epsom Derby Festival - Derby Day package?